BROWNSVILLE — Two county employees who were fired and then rehired after public corruption charges against them were dropped have sued Cameron County for back pay, vacation benefits, seniority and attorney fees. Jose A. Mireles Jr. and Pedro Garza Jr. filed the lawsuit Tuesday in federal court. 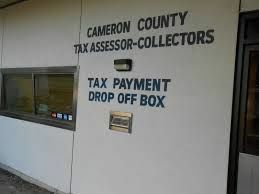 In January 2016, the Cameron County District Attorney’s Office arrested Mireles, Garza, Omar Sanchez-Paz and Cameron County Tax Assessor Tony Yzaguirre Jr. during an investigation called “Operation Dirty Deeds” on charges the men schemed to take bribes to illegally register vehicles. Claudia Elisa Sanchez was arrested later and charged with two counts of tampering with a government record, court documents show. The Cameron County District Attorney’s Office eventually dismissed the charges against Mireles, Garza, Sanchez-Paz and Sanchez, court records show. Nearly one year ago, on Feb. 4, a Nueces County jury in Corpus Christi ruled Yzaguirre was not guilty on 15 counts of bribery, abuse of official capacity and official oppression. Mireles and Garza are seeking a jury trial on allegations that Cameron County treated them differently than its other employees who have been cleared of criminal charges in the past.